I got interested in astrophotography recently. It's a lot of fun. 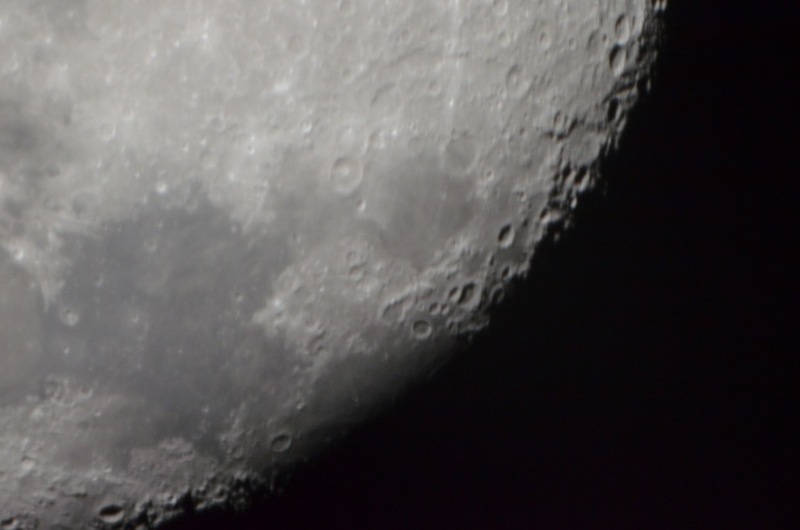 I started with the Moon which should be the easiest celestial object to take pictures of. 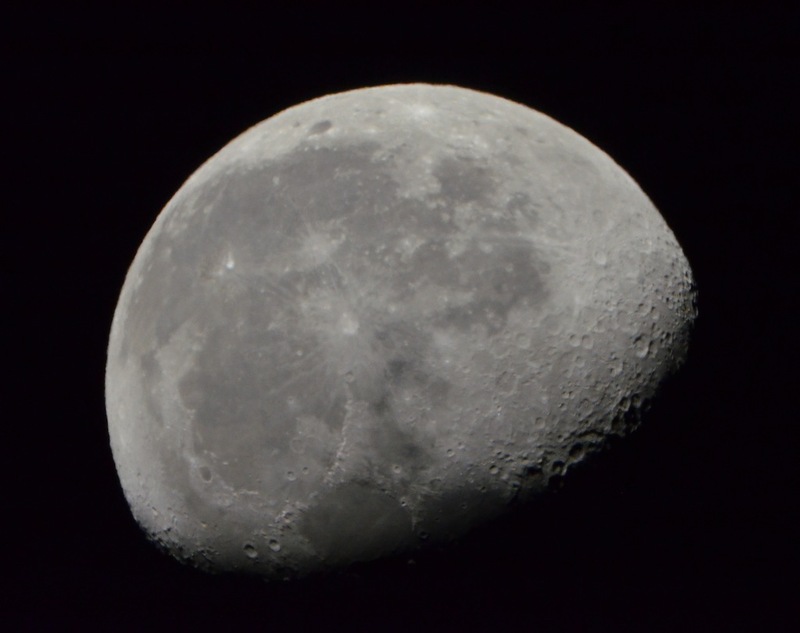 I used the Celestron NexStar 4 SE Telescope along with my Nikon D5100 DSLR for these shots. In order to connect the camera to the telescope, I used what's known as a T-adapter and a T-ring. Basically the T-ring goes onto the DSLR where a lense would be, and then the T-adapter connects to the T-ring. These are the specific T-ring and the T-adapter I used. Note that these accessories can depend on the specific brands and models you have. My telescope also came with the TheSkyX software that gives you information on where all the celestial objects are given any location and time. This is extremely useful for planning. I took these shots on my balcony in Pasadena, CA. It's a fairly busy area with plenty of light polution, so I am pretty happy with the results. I went with the Celestron NexStar 4 SE after quite a bit of research. For Moon photography a more basic telescope would actually suffice, but most of the cheaper telescopes do not have a motorized mount for tracking, and that really makes everything a lot easier. As a rule of thumb, the Moon is about the size of your thumb when you hold it up at arm's length. It is also very bright relative to other obecjts in the sky, so it is not hard to locate it in the sky once you are familiar with your telescope. 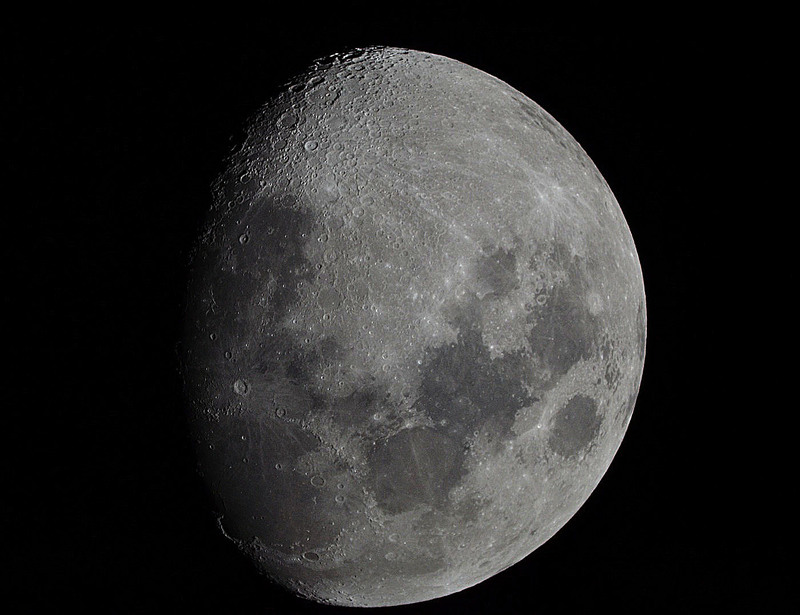 However once you locate it through the eyepiece of the telescope, you'd notice that the Moon is constantly drifting and moving outside of your field of view. This is because the earth is constantly rotating and this is when an automatic tracking mount of the telescope can be very helpful. With the same setup I also took some photos of Jupiter. Check it out!